As we expected, Franc was able to break the maximum of wave 1, thus indicating the start of the third wave. The forecast of the price movement remains bullish. Most likely, the price will continue growing in the nearest future. 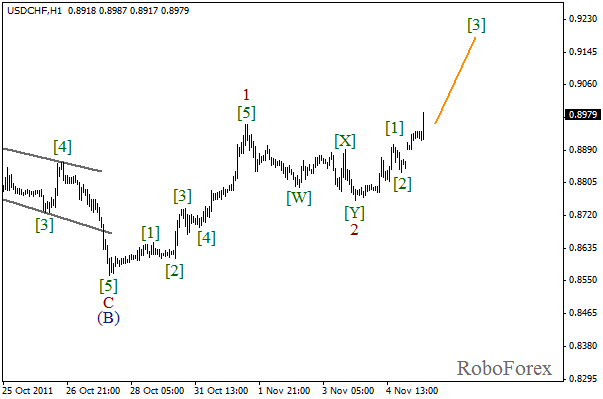 The target for the bulls is still the level of 0.9300. 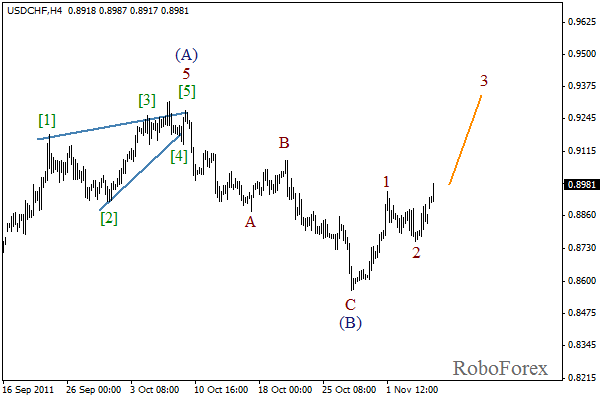 Wave 2 has been completed in the form of double zigzag pattern, and an initial rising impulse has been formed inside wave 3. After the finish of the local correction the price started forming wave . The price may continue moving upwards during the day. The price is trying to finish the correction, which has been taking place for a long time already. The forecast is still bearish. There is a possibility that we may see the start of the third wave inside impulse [A] during the next several days. 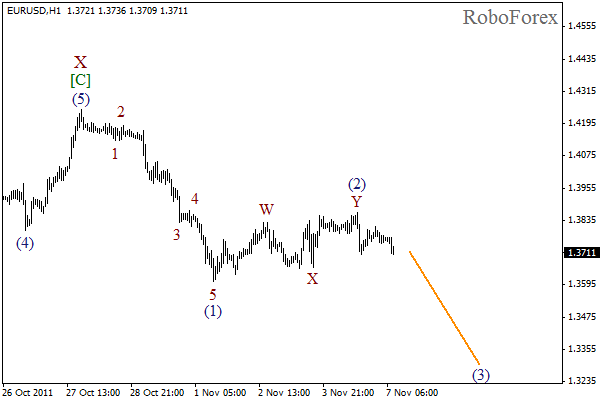 The target for the sellers is the level of 1.3400. 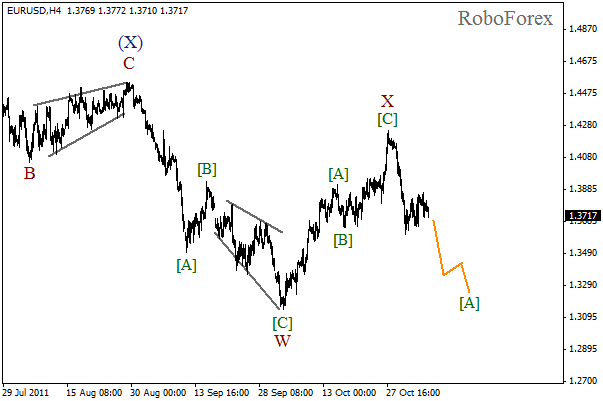 We may assume that wave (2) at the H1 chart has been completed in the form of double zigzag pattern. Right now the market is about to start the third wave. We may expect the bearish rally to continue during the day. Most likely, the price will reach a new local minimum on Monday or Tuesday.